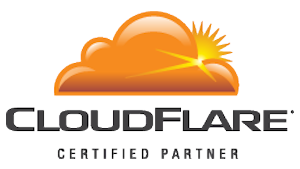 We have created a partnership with CloudFlare CDN in order to provide our customers with inexpensive (even free), fast and secure CDN solution for their websites. With just few clicks in our cPanel tool, you can put your website on the CloudFlare CDN and improve its security, stability and most of all - it's loading speed. CloudFlare is a free service that accelerates and secures your website by acting as a proxy between your visitors and HostGator servers. With CloudFlare, you can protect your website against malicious visitors, save bandwidth and reduce average page load times. Bot and Threat Protection - CloudFlare uses data from its own community, Project Honey Pot and other third party sources to identify malicious threats online and stop attacks before they even get to your site. You can see which threats are being stopped by accessing your CloudFlare dashboard. Currently, requests must be directed to www.yourdomain.tld instead of yourdomain.tld which means you may need to make some configuration changes (WordPress installations are automatically adjusted). CloudFlare's basic mode cannot handle SSL certificates. If you need to use an SSL certificate, the part of your site that needs it will need to be on a subdomain that is not protected by CloudFlare. Currently, Shared and Reseller plans may enable CloudFlare services via cPanel. CloudFlare is also available on VPS and Dedicated Servers upon request; however, this service is not available on Windows servers.